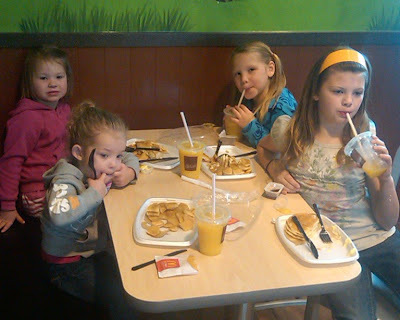 Saturday morning, #2: we went to breakfast at McDonalds. 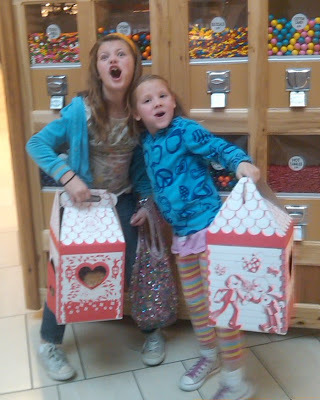 After our breakfast, and leaving the littlest girls with their parents, #3: we went to the mall. 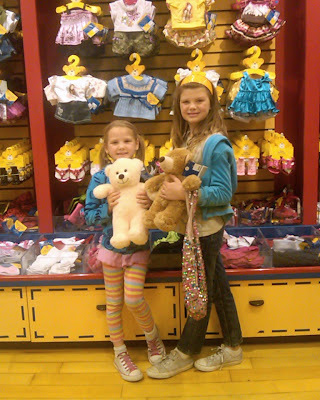 Ava and Remi wanted to go into "Build-a-Bear" to "look", and came out with their own creations. We then went back home and #5: made crafts. The girls made sock dolls, necklaces, painted an assortment of wood and plaster crafts and tried their hands at sewing on plastic canvas. then on Sunday evening, #6: all the family came over and showered Ava with love and presents. Happy Birthday Sweet Ava!! !